Maryland Pink and Green: Hats, Hats, Hats! Are you headed to Foxfields, Gold Cup, the Kentucky Derby, or Preakness? Although your heels won't be a good option for the soft terrain at the races, you'll have a perfect opportunity to wear a hat. I love wearing hats. When I was a child, I remember wearing a beautiful new dress, matching coat, and hat for Easter. A hat made me feel like such a lady! This year, a group of friends and I are planning a fun outing to the Virginia Gold Cup. Although I have not found a dress to wear, I'm looking at hats before I find the dress. How funny is that? Usually, I think of the dress first, but in the case of this event, the hat is almost as important or even more important than the dress. Here are some things that I'm considering. Last year, I purchased a monogrammed hat from Marley Lilly. I wore it to the beach, to some summer festivals, and always received so many compliments on it. My hat is natural straw colored with a navy monogram. It matches with everything. 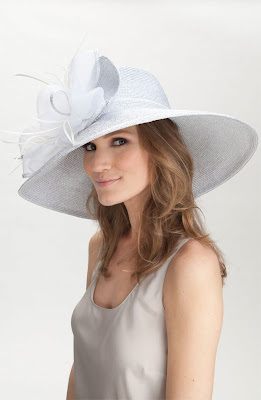 For the Gold Cup, I could get a hat to match my dress. 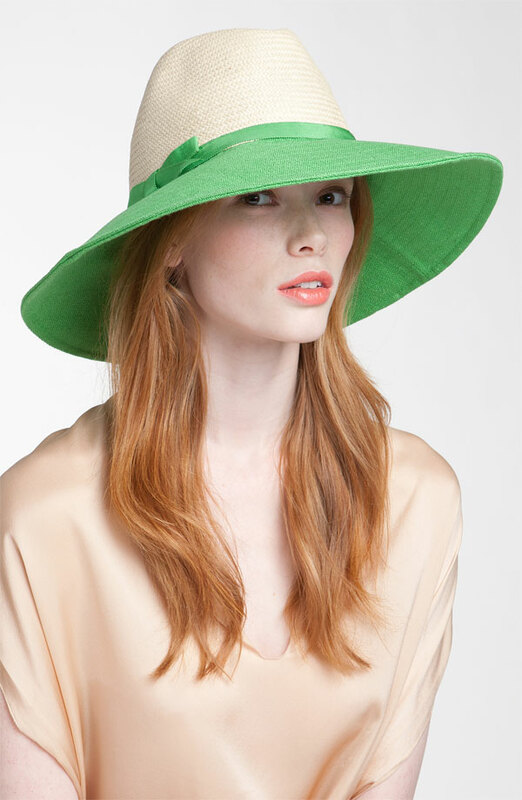 This Kate Spade Sun Hat is also fun. It would be another hat that I could wear many times after the Gold Cup, kind of like a bridesmaids dress that can actually be worn a second time. I'm thinking that this is pretty, but might just be a little bit too informal for the event. It would look gorgeous with a Lilly dress that has that shade of green in it. Decisions, decisions. Right now, the Nordstrom Wide Brim Hat﻿ is my top choice. To me, it looks like the perfect hat. Not extremely practical, but I love the pink color and could certainly find a dress to compliment the hat perfectly. The Badgley Mischka Metallic Derby Hat is also stunning. I love the wide brim and metallic color. This is one that I think I have to try on in person because I wonder if the metallic shade would wash out my skin tone. Help me choose a hat! Please leave a comment to let me know which one is your favorite. My top dress picks will follow in another post. I love that Nordstrom hat! Very unique! I love the Marley Lilly hats, of course, too and am planning to get one soon myself, but I think the Nordstrom one is a winner for the Gold Cup! 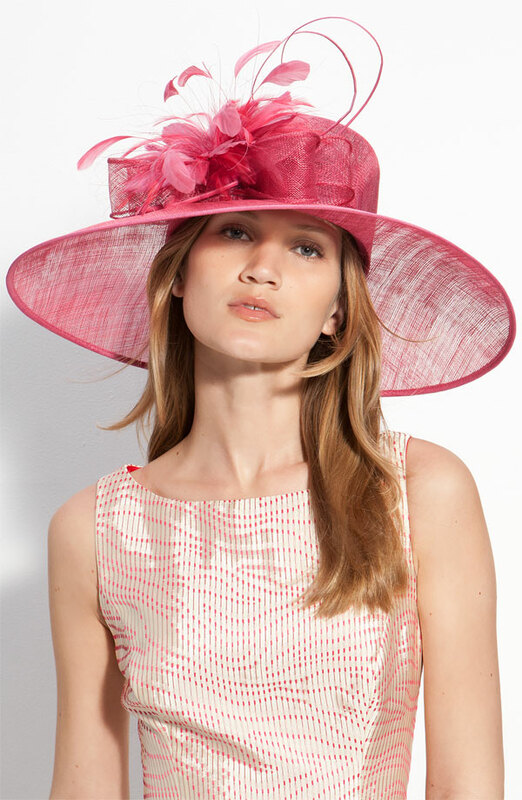 I love the Nordstrom hat too and think the pink color would be very flattering on you! You could wear it again at an outdoor summer wedding or cocktail party! 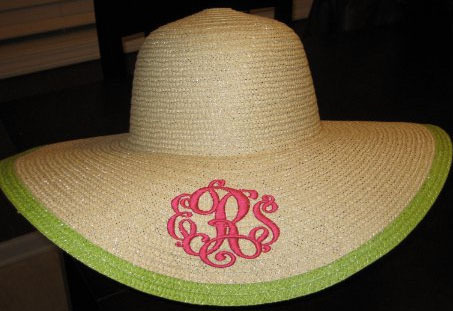 LOVE LOVE that monogram hat! I've never seen it before and will definitely be picking it up for Hunt Cup!